Babbitt performs on "American Idol." 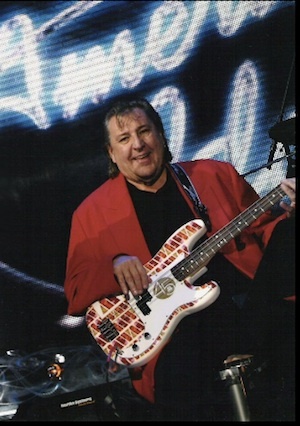 Renowned bass player Bob Babbitt died yesterday, July 16, in Nashville. His session work can be heard on countless classic recordings, including many as a member of revered group the Funk Brothers. He was 74 and had been battling brain cancer. During his career Babbitt played on over 100 million recordings, including the landmark songs “Signed, Sealed, Delivered I’m Yours” by Stevie Wonder, “Mercy Mercy Me” and “Inner City Blues” by Marvin Gaye, and “Midnight Train to Georgia” by Gladys Knight and the Pips. Babbitt moved to Nashville in the mid 80s and continued working here and elsewhere. Babbitt was honored with a star on the Music City Walk of Fame on June 5, 2012.